Are you planning to connect a portable or standby generator to your home? The only safe way is with a transfer switch. Orr Electric’s certified electricians installs transfer switches in homes and businesses throughout Northern New Jersey. Our work is 100% guaranteed. 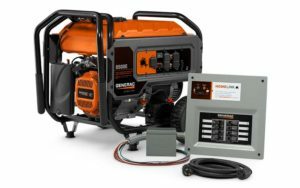 Most folks who use a portable generator to power their home during an outage run extension cords throughout their house, creating a hazardous situation. What they don’t realize is, there’s a very simple solution: install a manual transfer switch. That being said, a transfer switch must be installed by a licensed electrician, which comes at a cost. But the rewards are much greater. Once the transfer switch is installed, connecting your home to a portable generator is seamless.